Big Walnut Schools start Wednesday August 20, 2008. Buckeye Valley Schools start Wednesday August 27, 2008. City of Delaware Schools start Wednesday August 20, 2008. Olentangy Schools start Wednesday August 20, 2008. 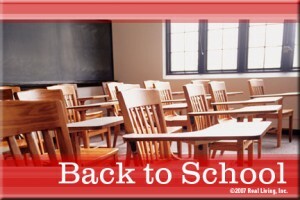 Westerville The first day of school for the year is Wednesday, August 27, 2008 for Grades 1-6, 9 and all Middle Schools Classes begin: Grades 7-8, 10-12 on Thursday, August 28,2008. Worthington Schools start Wednesday August 27, 2008. It seems like summer just started, because it did. The image is a Real Living (real estate brokerage I am affiliated with ) eCard.